Do you buy scented decorations from the store to put up in your home during the fall? Most items you will find at the store contain various chemicals and harmful additives? 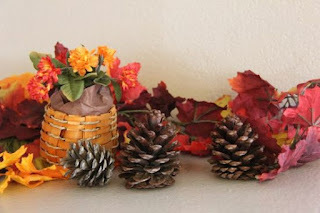 Something that is homemade is better to use like a DIY scented pine cone display. All you will need is a supply of real pine cones. Making your own DIY scented pine cone] display is actually really easy to do. Your oven will be an important part of this process as the pine cones need to be heated. Heating the pine cones opens them up and also helps to kill bacteria or bugs that are present.